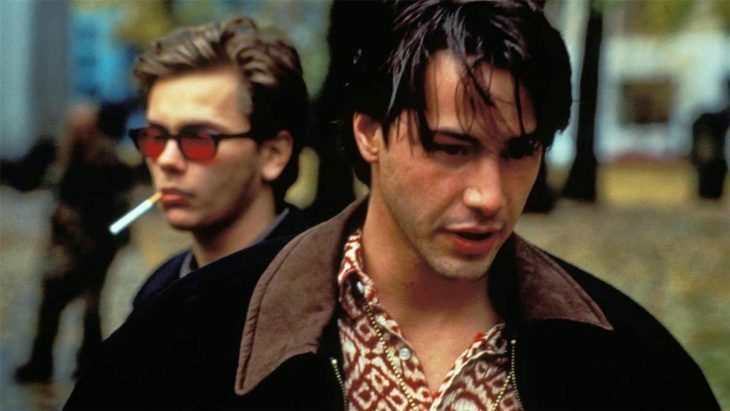 A key film of New Queer Cinema and the big bang of Udo Kier’s career in Hollywood: Gus Van Sant casts River Phoenix and Keanu Reeves as two hustlers drifting from Portland towards Idaho while making acquaintances with all sorts of eccentric characters along the way. One of them is Hans, played by Udo Kier who gives the two irritated young men his best rendition of his synth-pop song “Der Adler” in an unforgettable sequence while dancing through the room with a table lamp. MY OWN PRIVATE IDAHO is an ode to now, to this moment, to life.